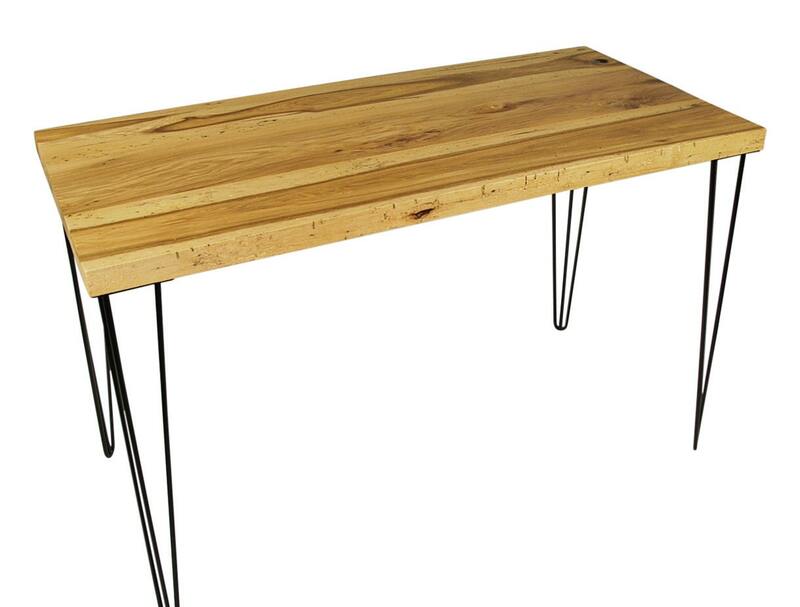 This beautiful desk is a perfect touch of both industrial and rustic. 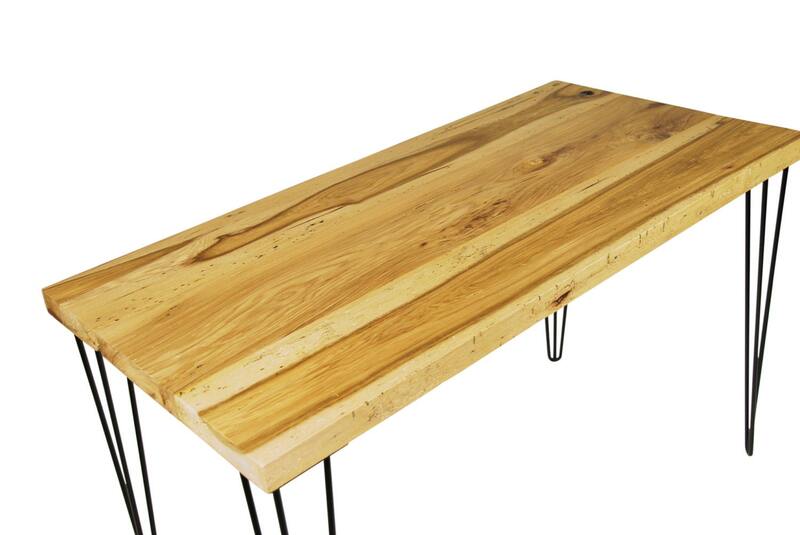 It is made of reclaimed Ash barn wood salvaged for the mid-western US. All tops are solid 1.5" to 2" thick and very sturdy. Each piece is custom made to order so your table will not be identical to the one picture. It will have its own unique characters including some wormholes! I do not do any distressing to this wood so it does make for a nice surface to use as a desk. I do not fill any knots or holes. I can use a clear epoxy filler for a small fee if you would like. The legs come in 3/8" solid 3-rod steel hairpin. I offer either powder-coated black or clear coated raw steel for the industrial look. This desk comes in satin clear finish. Ask us about multiple order discounts! 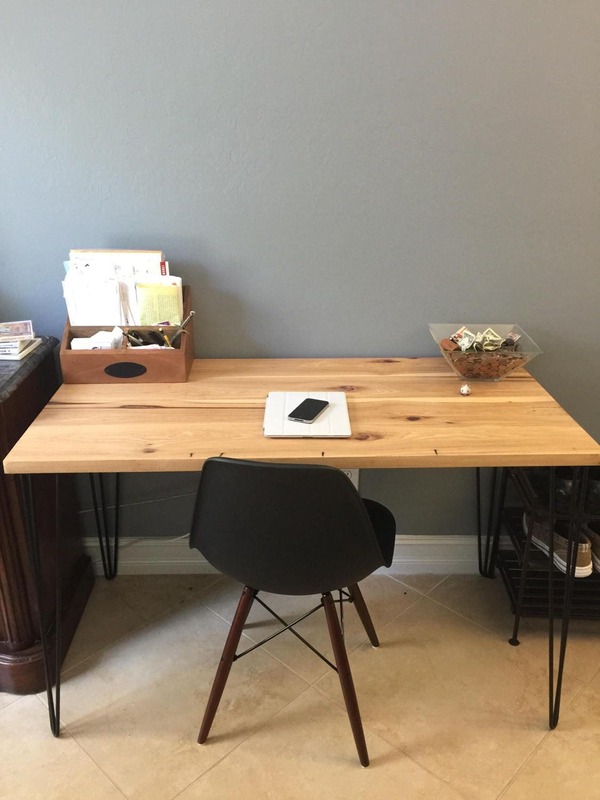 This desk is absolutely PERFECT. Seriously. 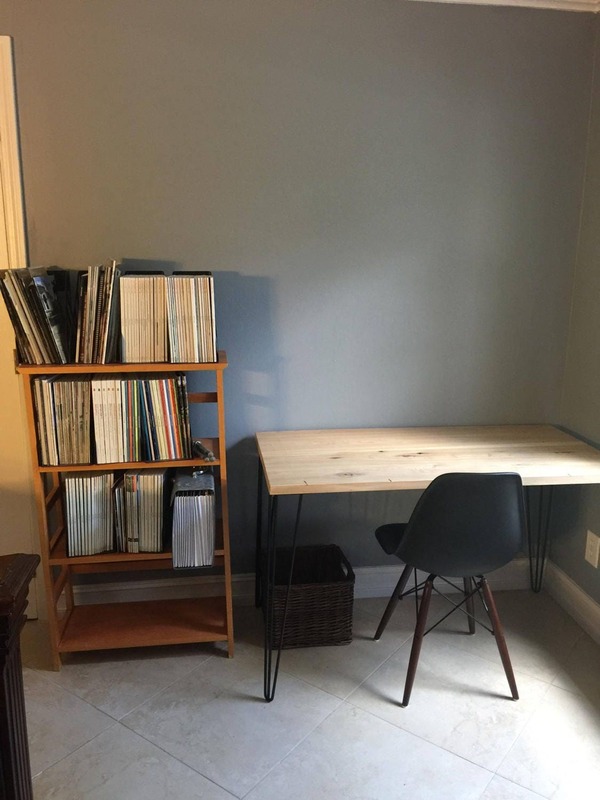 The seller was awesome & worked with me to get bare metal legs like I wanted, he did a fabulous job at making the top of the desk & provided me with a product that was EXACTLY what I've been looking for for quite some time. My office is exactly how I envisioned & I couldn't be happier. My only issue was with the shipping - the box the desk arrived in was very mangled & loose screws were floating around all over the box. Fortunately, none of the screws fell out & nothing was damaged, so I have no real complaint. Thanks so much for such an awesome product!